August 2018 Sue Harris and Angie Prudhomme work on salvaging used wattles that were donated to Transition Habitat from a Caltrans project. 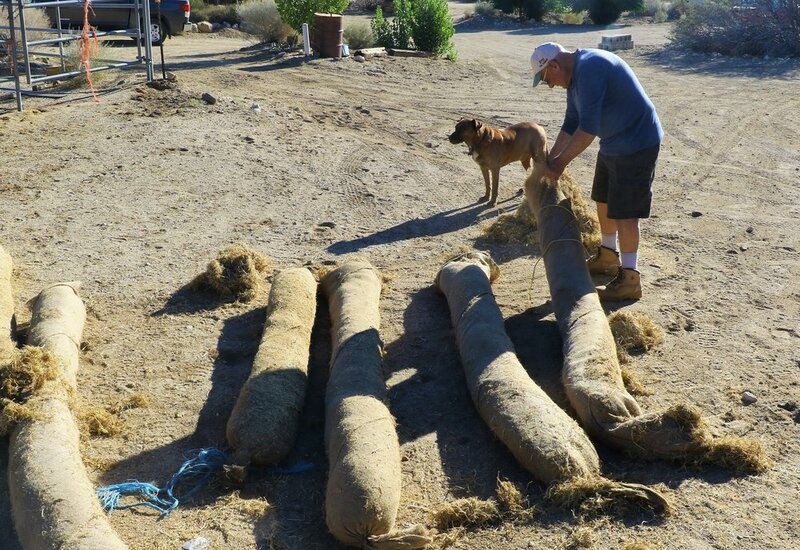 These wattles will be used for erosion control in various project areas. August 2018 Larry Frank and his dog, Quill, loads the salvaged wattles onto the trailer. 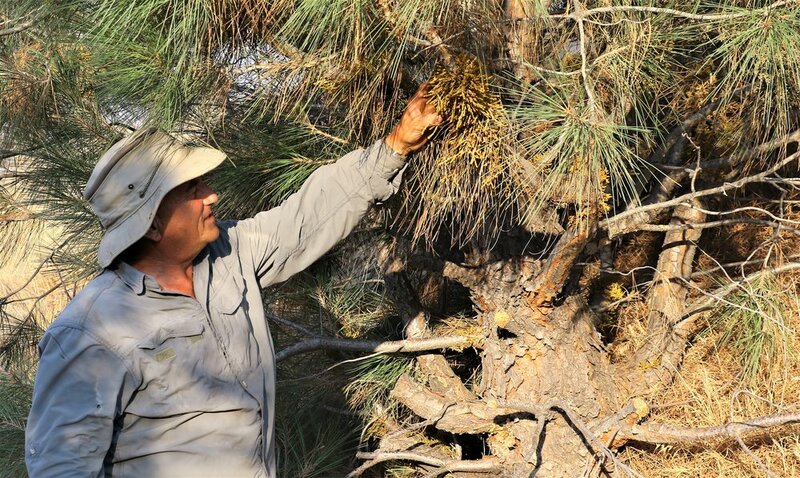 August 2018 Tom Persons, from Habitat Works, talks about mistletoe in Gray Pines in the Portal Ridge project area during a seed collection event. 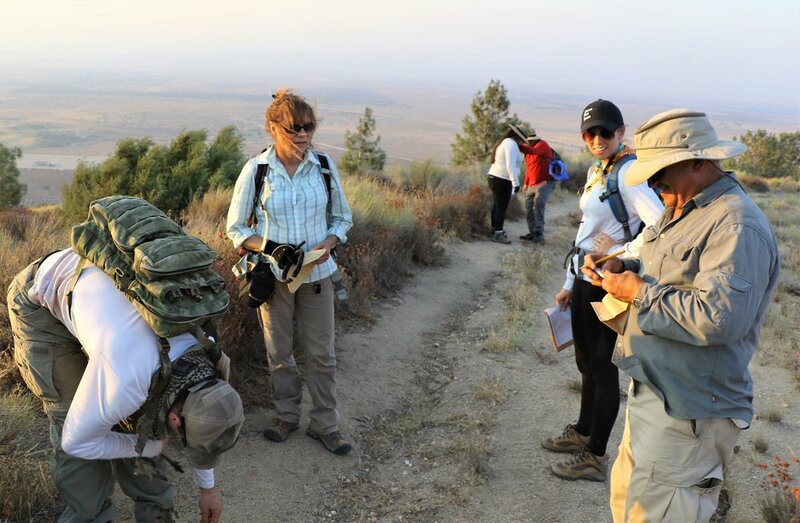 July 2018 Kim Clark and Tom Persons and several intern volunteers take a break from looking for and collecting seed for restoration in the Portal Ridge project area. 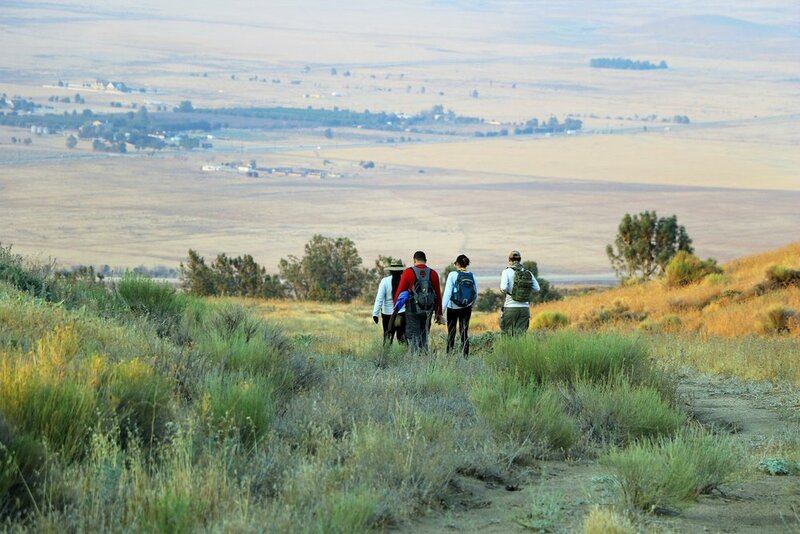 July 2018 Volunteers from Habitat Works heading back down the trail in Portal Ridge. Volunteer Kate Allen, works once or twice a week in the Puma Canyon Ecological Reserve to trim back mistletoe from drought stressed junipers.